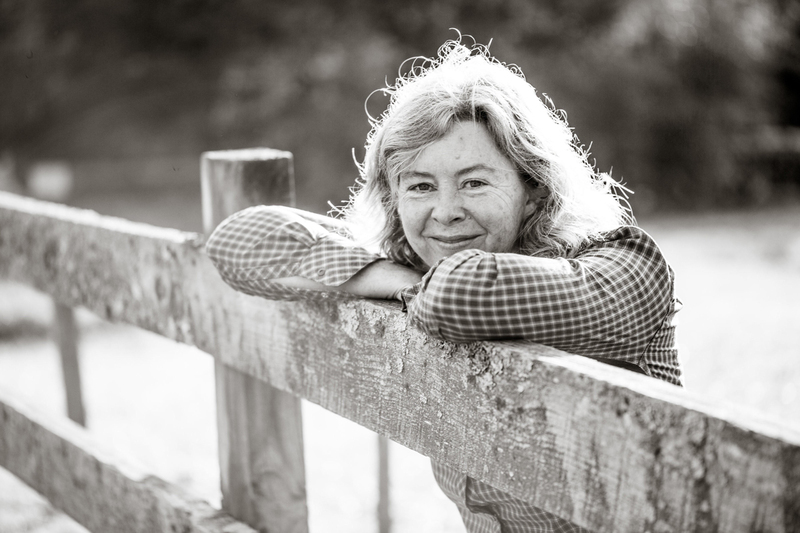 Since the 1990s, Sarah Flack has helped livestock farmers across the country manage their animals to increase the health and sustainability of their farms. Vermont-based livestock grazing consultant Sarah Flack remembers being captivated by insects crawling in the soil when she was a child staying in a tent in Kenya. She remembers watching sheep graze when she lived in New Zealand and paying attention to all the different ways farmers managed their pastures. She remembers her ecologically minded parents teaching her about the complex interactions between animals, plants, and the earth. “Agriculture was embedded in everything I did from when I was little,” she says. For two decades, Flack has travelled throughout the United States as a speaker and consultant, teaching farmers how to harness the inherent power of the ecosystem to transform their land by grazing livestock intentionally. In addition to traveling to farms to meet with clients and teaching three or four workshops each month, Flack is an active author. Her book, The Art and Science of Grazing: How Grass Farmers Can Create Sustainable Systems for Healthy Animals and Farm Ecosystems, was released in 2016, and before that, she published two books on organic dairy production. As Flack sees it, effective grazing involves far more than simply letting animals loose in the fields. Her philosophy involves looking at each farm from the individual perspectives of plants, animals, and soil. By considering the needs of each of these components, she teaches farmers to create a system in which they all thrive. “Well-managed, grass-based livestock feeding can create benefits for ecosystem health and produce really healthy meat, milk, and fiber,” Flack says. The agricultural community has not always embraced Flack’s approach. When she started her work in the late 1990s, few consumers or farmers were interested in pasture-based meat and dairy. During graduate school, one of Flack’s professors even accused her of being a “fringe radical” when she suggested cows be allowed to leave the barn to graze in pastures. Today, however, grass-fed meat is hot. Between 2012 and 2016, U.S. retail sales doubled every year, soaring from $17 million to $272 million, according to a recent report from the Stone Barns Center for Food and Agriculture. Research has found that, compared to conventionally raised meat, grass-feed beef contains more healthy fatty acids and is only half as likely to harbor dangerous antibiotic-resistant bacteria. Flack’s path to this unusual line of work developed, well, organically. In New Zealand, her father, a wildlife ecologist, worked restoring the habitat of the endangered black robin, a project that helped develop Flack’s interest in the ways animals, plants, and their environments interact. 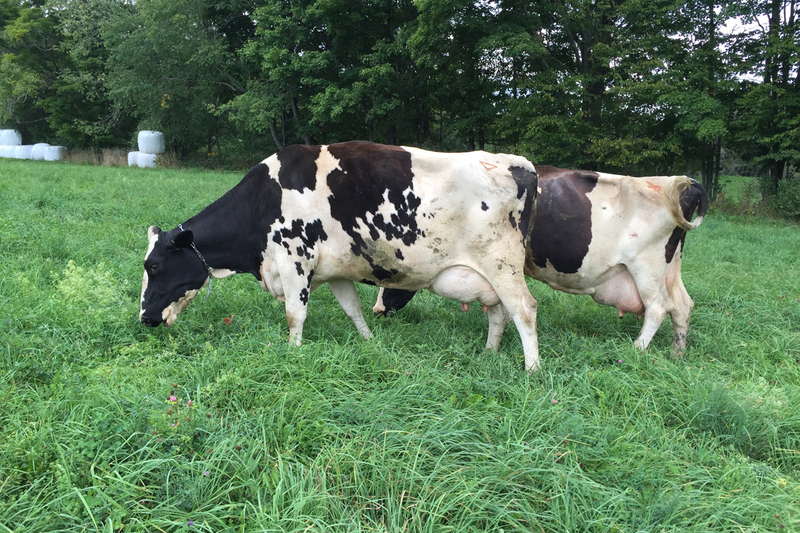 Upon returning to the U.S., Flack’s family moved to Northern Vermont and in 1978, started a small dairy farm—still in operation today—that uses biodynamic and organic practices, including some of the ones Flack teaches, such as high-stock-density grazing. Living on the farm stoked Flack’s already-growing fascination with ecological systems. Flack went to the University of Vermont, where she earned a bachelor’s degree in environmental agriculture and a master’s in plant and soil science. She also did post-graduate studies in business management, organic production practices, and biodynamic certification. Flack always entertained the possibility that she would end up a commercial farmer. “I certainly had some close calls with farming,” she joked, but she kept finding work teaching, consulting, and writing. She followed her career where it led her and now helps farmers make sustainable changes to their operations, including transitioning to organic production, receiving non-GMO certification, and switching to or improving their managed grazing practices. And she’s good at what she does. One night in March, despite frigid temperatures and recent snow, more than 20 people gathered in a meeting room at a New Hampshire farm to hear Flack talk about how to improve the production and quality of pastures. She wore a fitted fleece vest, striped wool socks, and no shoes as she stood at the front of the room running through her slideshow. The presentation was engaging and substantive, full of useful science clearly translated into functional advice. She stopped often to answer questions from the audience. She is also sought-after by those in the agricultural nonprofit world. The essence of Flack’s advice is that farmers can use the very process of grazing animals to create healthier soil, more robust pastures, improved animal welfare, and a more financially sustainable operation. Though each farm is different, she promotes a few universal principles, such dividing pasture into paddocks—the more the better—and rotating animals through them. She also advises to graze animals in each paddock for a short period of time and vary the lengths of time each paddock is allowed to recover. Though many different systems, each with its own specific name, embrace these principles, Flack prefers the more generic term “grass-based livestock farming.” This name, she says, avoids sounding dogmatic or trendy and leaves the focus on the basic tenets of good grazing practice. “It’s simple and straightforward,” says Robin Hulbert, a New Hampshire dairy farmer and client of Flack’s. Flack helped Hulbert create individualized plans this year for each of his fields—adding more composted manure on parts of one, cutting the sod before re-seeding in another. Together, they also set long-term goals for the pastures, and Hulbert hopes to bring Flack back every year for the next few years. At the same time, Flack’s instruction is full of universal lessons that often verge on philosophical: Get to know the plants in your pasture and their individual needs. Ignore peer pressure to keep your fields more tidy. When she’s not on the road, Flack lives in northern Vermont, just shy of the Canadian border, on her own off-the-grid property. She raises most of her own food in her permaculture-style gardens, orchards, and greenhouse. Because she is on the road so often, she no longer raises her own livestock, but her father frequently grazes his cows and sheep in her fields. Flack is surrounded by pastures full of grazing cows and sheep, fields of organic produce, and a community that lives the same values she brings to her work. She appreciates the chance to improve both the environment and make farms more sustainable, especially in parts of the country where managed grazing has yet to take off and aspiring grass-feeders have few role models and little support. And her work constantly teaches her new things and is never, ever boring. Photos courtesy of Sarah Flack. I really enjoyed reading this beautiful piece. I think developing countries ought take a clue from this idea of enhancing effective farming. This would go a long way to curtailing farmers-herders clash in many countries. Great story. The network is growing. It’s all about the bugs and carbon in the soil, at the beginning. Here’s to healthy systems.